Comments: QRP mobile both SSB and CW. Will spend the least amount of mobile time in CLAI, GRAI and KNOX, giving the most attention to the non-represented counties, then probably will head home to finish the contest from Grainger. Comments: CW Only. Will be active as Single Op, Mobile. Route: Sumner > Trousdale > Macon > Clay > Jackson > Overton > Pickett > Fentress > Scott > Morgan > Cumberland > Putnam > Smith > Wilson > Davidson > Cheatham > Williamson > Dickson > maybe Hickman. Comments: Sorry it took so long to finalize the route. We have some issues with the equipment and the computer, but we think we got it worked out. We looked to the east for uncovered counties, but it is uncharted territory for us. This is the list of counties we will try to activate, in the order in which they will be worked. 40 & 20 meters mostly, 80 meters during the evening. Mainly CW. Will look at 15 & 10 meters for activity. Hope everyone has a good time. Comments: Will be multi-op mobile cw with K0EJ. Comments: CW only. 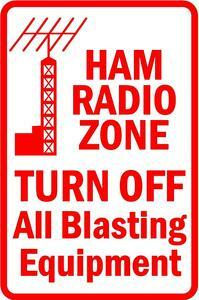 WB4CHH will be with me operating SSB phone from the same counties.